Tweezers, 7 Dumont INOX, Biology Grade | Polysciences, Inc.
Polished fine thin curved tips, 115mm in length. 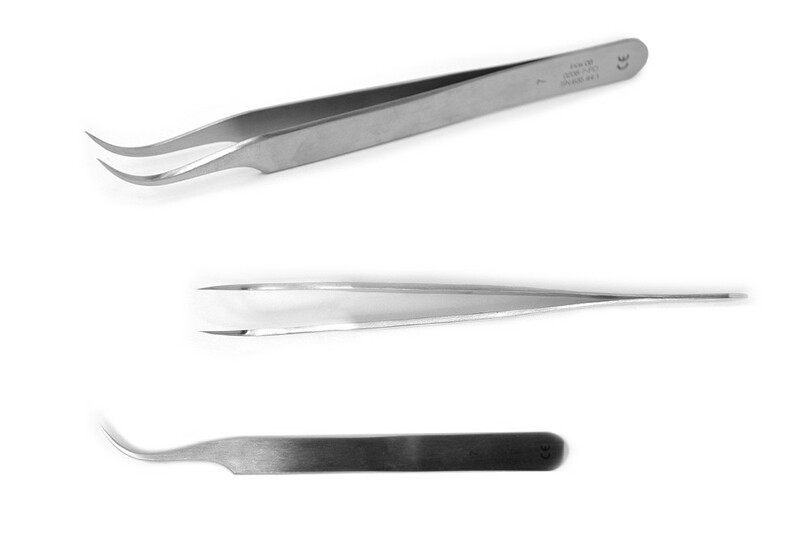 This style tweezer is a medical stainless steel composed of C, Mn, Cr, Mo and V that provides an excellent resistance to corrosion and a good resistance to salt. Although not as hard as Carbon steels, this style offers excellent resistance to corrosion. This magnetic alloy supports temperatures of around 400°C (DIN 50914) and is suitable for autoclave sterilization at 180°C.